Would you like a little more pop-up control? Great. We’re giving it to you! You now have the ability to control how quickly your pop-up shows on your blog. Instead of your pop-up automatically sliding up as soon as a visitor lands on your blog, you can now delay your pop-up from showing until your visitor scrolls down your page. Also, you now have the ability to turn the pop-up off on mobile. 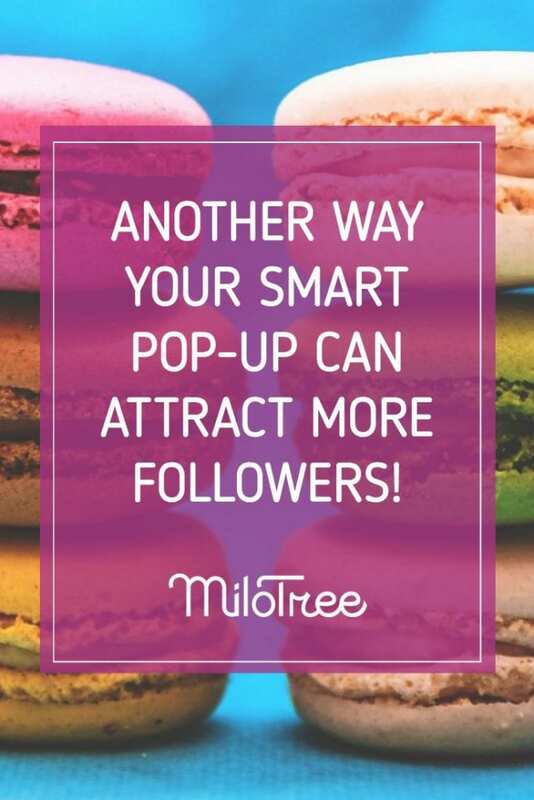 If you haven’t yet tried the MiloTree pop-up to grow your business faster, click this button. It’s easy to install with our WordPress plugin or a simple line of code.